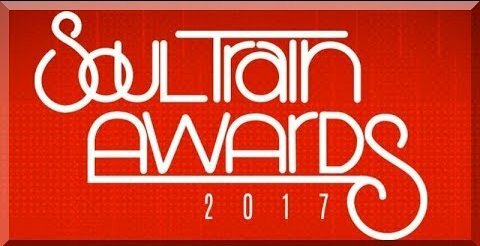 Sunday night (November 27), the BET Presents: 2017 Soul Train Awards celebrated the best in Soul, R&B and Hip-Hop by featuring both returning legends and breakout stars with unrivaled musical moments and show-stopping performances. The awards show was again hosted by the otherworldly Godmother of Soul, Erykah Badu, who also brought her creative forces to the show as writer and producer. Bruno Mars led the night’s winners dominating in top categories including Best R&B/Soul Male Artist, Video of the Year, Album/Mixtape of the Year, Song of the Year and Best Dance Performance. SZA followed with two awards, Best New Artist and Best R&B/Soul Female Artist. Artists were honored across 12 different categories and additional winners included Cardi B for Rhythm & Bars Award for “Bodak Yellow,” Bell Biv Devoe and Ledisi (Soul Train Certified Award), Lecrae (Best Gospel/Inspirational Award), Solange “Cranes in the Sky” (The Ashford & Simpson Songwriter’s Award) and DJ Khaled ft. Rihanna and Bryson Tiller “Wild Thoughts” (Best Collaboration). The BET Presents: 2017 Soul Train Awards were action-packed from start to finish, with third annual Lady of Soul honorees SWV getting the party started with a medley of their top hits such as, “I’m So Into You,” and “Weak.” The trio were joined by Method Man and U-God for their final song, “Anything,” getting the entire crowd out of their seats and singing along, including newcomer Kehlani. Fearless and funkadelic host Erykah Badu then took to the stage and opened with an impactful statement by taking a knee before the crowd. Her poignant, yet laugh-out-loud, monologue focused on current events and included everything from faux Trump tweets to the changing sound of love is love. Toni Braxton watched delightedly from her seat as Anthony Anderson guided the crowd through a tribute medley by Ro James performing, “Seven Whole Days,” Jessie J. performing, “You Mean the World to Me,” and Luke Jamesperforming, “Unbreak My Heart.” The incomparable multi-platinum, multi-Grammy award-winning artist took the stage to remind everyone just how legendary she before graciously accepting the coveted Legend Award accompanied by a standing ovation. Braxton brought down the house, performing classics including, “Love Shoulda Brought You Home,” “You’re Making Me High,” and “He Wasn’t Man Enough for Me.” As the show neared its end, Kirk Franklin led an inspirational performance alongside MAJOR., Le’Andria Johnson, Daniel Caeser and Ledisi. In addition to electrifying performances, the awards show unveiled a powerful “Soul Cypher,” for the third year, with Badu holding court at the DJ while Faith Evans, Fantasia, Bilal and Mali Music brought their powerhouse vocals.